Above: Robert Downey, Jr. holds his NAA Magnum Mini-Revolver in 2005's "Kiss Kiss Bang Bang." It was designed in 1959 and has been produced since 1960: it was the world's most powerful rimfire cartridge at that time. It is a big jump in performance from the .22 Winchester rimfire. From the SAAMI data, you can see that with a 15 inch test barrel and a 50 grain JHP bullet, the velocity jumps to 1650 fps from 1300 fps with a lighter, 45 grain jacketed hollow point bullet with the old WRF. Even the ancient .22 Long Rifle has sinister components in its long history, for it was an Iver Johnson .22 that was used to assassinate Senator Robert Kennedy June 6, 1968. 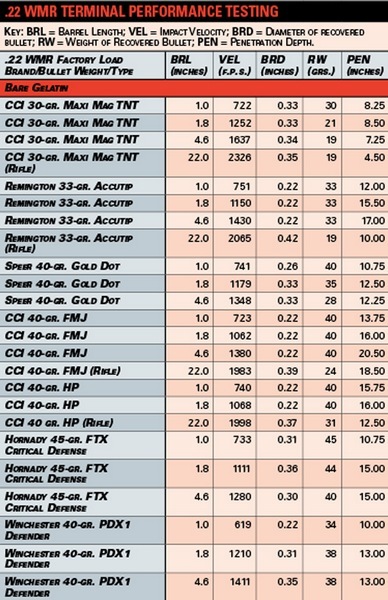 What has dramatically improved the .22 WinMag in recent years is the ammunition. Nevertheless, it is also a clear fact that thugs tend to prey on soft targets: older folks, lighter folks, and females. Refusing to be a victim requires that you actually have a gun in the first place. The reality of having to unexpectedly fire a gun indoors, for example, may leave you temporarily blind, deaf, and disoriented. That's why, for many, a controllable, relatively low recoil, low muzzle flash handgun that is easily pocketable may be the most practical solution. California has an extremely sad history of resisting the Constitution of the United States. Even so, some relatively small and light mini-revolvers are legal: the 4 inch barrel NAA Sidewinder is approved for sale in California as well as the NAA Mini-Master and the NAA Earl in 4 and 6 inch barrel lengths. Like essentially all NRA members and shooting sports enthusiasts, I'd never so much as consider pointing a functional firearm at another person. Yet, once in my life, the circumstances forced it, and I'm glad I had a gun in my hand and so was my wife. Until you've held one of the NAA Mini's in your hand, you'll not fully realize how convenient and easy to deploy they are. Even the "large" NAA Mini-Master is just over ten ounces and fit where a lot of other things just won't. With a 4 inch barrel and an extra couple of ounces in weight, it is the softest-shooting with Hornady Critical Defense loads. As far as a personal favorite for carry, that goes to the NAA Black Widow. It is only about a nine ounce gun, the optional NAA Venom laser (shown above) fits seamlessly and beautifully, integrating itself with the revolver as it replaces the standard cylinder pin. All of this is personal preference, of course, the reason NAA has such a wide variety of models, grips, and accessories. I do prefer the 2 inch barrel vs. the 1 or 1-1/8 in. barrels, as that extra inch or so of barrel gives you a big jump in velocity and penetration as you can see in the chart above. The latest in the pipeline from North American Arms is their “Ranger II,” a miniature break-top revolver that was inspired by the Major George Schofield revolver championed by Jesse James and Wild Bill Hickok at times. Pricing and exact availability has not been established yet, but more info is at “Sandy's Soapbox”: http://news.northamericanarms.com/soapbox/february-2016-ranger-ii-early-bird-program/ .